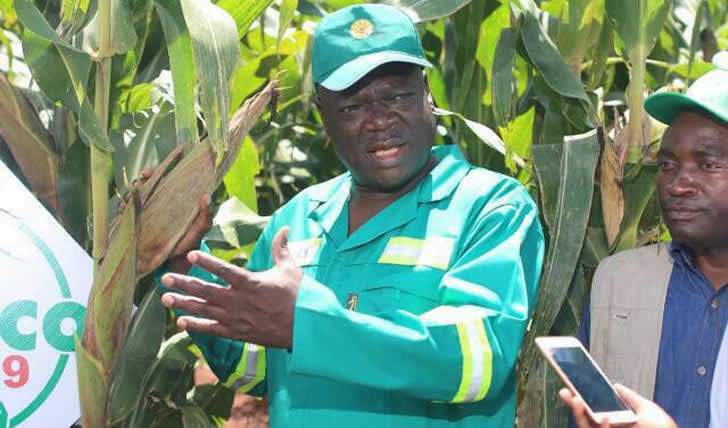 This year's Command Agriculture programme is poised to be successful since there are no in-house political problems in Zanu PF, Agriculture and Mechanisation minister has said. Minister Perrance Shiri made the remarks when he addressed commercial farmers at Seedco National Field Day at Rattray Arnold Research station on Tuesday afternoon. Shiri, who was dressed in a green work suit told farmers implored farmers to respect their obligations adding that it's glorious to be rich as long as one works for it. "For us to work well on the farms, we want peace and stability. Therefore, farmers should work together and avoid unnecessary squabbles. "There are no more in-house political problems in Zanu PF, so command agriculture will get even better as the nation works as a team," he said. Shiri called on some farmers, especially ones called cellphone farmers to pull up their socks. "For us as to be a developed country, we need to create wealth. Agriculture feeds the country. We may pride ourselves in our minerals but those ones will be depleted at some point." The minister said government will not hesitate to force out illegal settlers in the farms. "99 year leases should be respected and if you invade farms you will be breaking the law. Illegal settlers will be removed and are being removed," he said adding that in the case of a dispute, farmers must approach the Land Commission and not the ministry for recourse. "We now have officers in each province. They are available to attend to any challenges to do with land.